Prunus mume is an Asian tree species classified in the Armeniaca section of the genus Prunus subgenus Prunus. 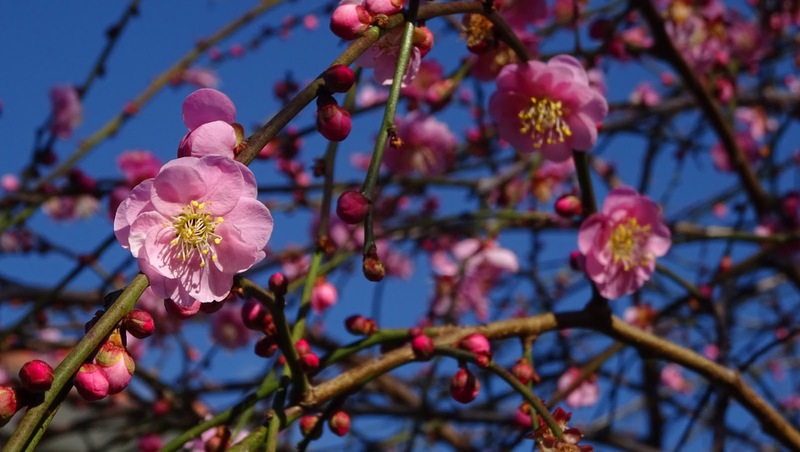 Its common names include Chinese plum and Japanese apricot. The flower is usually called plum blossom. This distinct tree species is related to both the plum and apricot trees. Although generally referred to as a plum in English, it is more closely related to the apricot. I can tell that tree is ready to burst into flower - and I can imagine if there are masses of them, together they will be quite spectacular.